Much has been written about CEOs who simply don’t want to leave their perch atop the corporate ladder. Professionally speaking, they’ve captured the Moon and damn if they’ll release the prize to someone else. Which explains why mentoring is so tricky. If a CEO mentors someone, it’s a tacit admission that someone is in line to succeed. Suddenly the chief-executive mantra becomes, “Do not go gentle into that good night,” as the potential of new blood at the helm makes for a terrifying glimpse of the future. For a CEO to surrender this estimable, hard-won prize, when the time comes, requires great self-awareness. 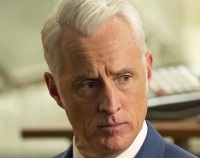 Which makes “Waterloo,” last night’s Season 7 mid-finale of “Mad Men” that’s set within the historical framework of the Americans setting foot on the Moon on July 20 1969, a remarkable lesson in observing how top dogs help their prodigies along. Don Draper, the creative director who gave Peggy Olson her start in writing advertising copy, rose to the occasion when he insisted she pitch – in his place – to the execs at Burger Chef. She’d seen him make these presentations countless times, he said, as he gave her the verbal support she needed to seize her opportunity. It was the kind of behavior an ideal mentor exhibits – Don and Peggy’s slow dance to “My Way” last week signaled they were rhythmically on the same page – and Peggy does him proud by winning the account. No doubt Don’s recently having going back to basics at Peggy’s command – and he felt sorely humiliated writing elementary advertising material for her – was a factor in his generosity now. 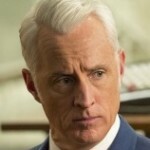 If Don and Peggy became a radiant example of how a more experienced person can take an employee under one’s wing, then Roger Sterling and his ostensible mentor, Bert Cooper, demonstrated a different variation of tutelage. Earlier in the episode, Bert tells Roger that he doesn’t believe Roger is a leader. When it looks as though SC&P is truly headed for ruin, Roger becomes cunningly proactive. He gets the McCann advertising agency, which is now surely threatened by his company’s winning a key account, to buy a majority share in SC&P, thereby ensuring that both Don – who was going to be voted out of the company – and Ted Chaough would continue in the ad business, under one roof. Not one to always act responsibly, Roger also admirably rose to the occasion and, in the process, made him a mentor that any rising star would want to have as an ally. Megan, pursuing her acting career in California, finally accepts she no longer needs her husband Don as a so-called personal mentor and makes it clear, in her phone conversation with him, that their marriage is over. Peggy, in a sense, was also mentoring her young neighbor Julio, who tells her he’s moving away, thereby eliminating Peggy’s opportunity to guide. Even Sally Draper, who adopted her mother’s pose in lighting up a cigarette, demonstrated that she’s being mentored by mom Betty, if only through osmosis. And Jim Cutler, venal as always when it comes to money, proves that potential mentors can be two-faced. How does the Moon landing fit into the mentoring scheme and theme? The archetypal Moon is about mothering, nurturing and providing security. That’s what good mentors do. They show their charges the ways of the professional world: how to survive, avoid professional disaster and rise to a prominent place. The episode’s title, “Waterloo,” hinted that Napoleonic conquest can still lead to exile, a scenario which suggests that psychologically the top dog has not primed anyone to continue one’s legacy. Neil Armstrong, on the other hand, symbolically possesses the Moon by walking on it, and brings in the entirety of mankind to reap the rewards of that giant step. In the end, Don winds up having maternally given something away – his place at the table – to foster Peggy’s growth. In turn, his own Lunar action – mentoring – has given back to him his self-respect and a jolt of freedom. What the deceased Bert is getting at in Don’s magical hallucination, when the old guy blissfully sings out and soft-shoes that the best things in life in free, is that the work itself is the payoff, not the payout. Not the greatest dad to his three children in his personal life, Don, as he watches Bert, achieves an enlightenment of sorts. With no maternal goodness provided him in his own early life, Don has become the Lunar figure, making Peggy the recipient of his maternal generosity. Burger Chef: Mom Draper has entered the building.